Home / Military & Veterans Benefits / Military Insurance / Healthcare / VA Health Care Eligibility – Can You Receive VA Health Care? Many military veterans aren’t aware they are eligible for VA health care benefits. The common misconception is that veterans can only use VA medical care facilities if they have a service-connected disability rating. Veterans with a service-connected disability rating can use VA medical centers, but health care benefits aren’t only limited to those individuals. Let’s dispel some of the myths about VA health care eligibility, see who is eligible, and learn how you can apply for VA health care benefits. This is only general information. Each case is unique, and final benefits decisions rest with the VA.
VA health care eligibility only means you can visit VA medical centers and clinics for health care. It does not necessarily mean all health care is 100% free (some medical care may be free, however, many veterans may be required to pay a co-pay). There may be limitations on the type of health care you may be eligible for, and some medical care may require a co-pay or other associated cost, depending on your VA Priority Group, the nature of your coverage, and the medical care you receive. VA health care eligibility is based upon active duty military service in the Air Force, Army, Marines, Navy, Coast Guard, or Merchant Marines (during WWII). Members of the National Guard and Reserves may be eligible for VA health care benefits if they were called to active duty on a Federal Executive Order (this generally excludes active duty for training purposes). Other groups of servicemembers may also be eligible for VA medical care. Misconceptions about VA health care eligibility: It is not a requirement to have served in combat or in a war zone. You do not need a service-connected disability rating. You did not need to be injured or wounded while in the service. VA health care eligibility factors: VA health care eligibility is based on many issues, including active duty military service, type of military discharge, service-connected disabilities, medical conditions incurred while in the service, location of service, and more. You can be eligible based on your service dates, deployments you served on, or other criteria. 1. Are any of these statements true? Veterans have the option of selecting yes or no. If you answer yes, you will be taken to the following question: Are any of these statements true? If you answer No to either of the two questions above, you may still be eligible for VA medical benefits based on criteria such as your military service or household income. You will need to submit an application for VA health care benefits to learn more based on your specific information. In 2015, the VA eliminated the use of net worth as a determining factor for both health care programs and copayment responsibilities. The VA will now only consider a Veteran’s gross household income and deductible expenses from the previous year. The VA automatically determines the veteran’s income and deductible expenses by matching records with the Internal Revenue Service and Social Security Administration. This reduces the burden on the veteran to file an annual income eligibility form each year. It is estimated that this change will enable some 190,000 more veterans to become eligible for health care benefits in the next 5 years. Learn more. Online: Visit this link and fill out the form. Phone: Call 1-877-222-VETS (8387), Mon-Fri, 8:00 am – 8:00 pm EST. A VA rep will send you a completed form via mail. You will need to verify and sign the form, then return it to the VA.
Mail: Complete Form 10-10EZ or Form 10-10EZR and mail it to Health Eligibility Center, 2957 Clairmont Road, Suite 200, Atlanta, GA 30329-1647. 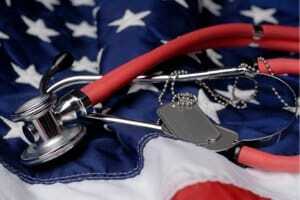 In person: Visit any VA Medical Center or clinic. Here is the VA Directory. You can reduce the application processing time by providing information about your service when you apply. This includes documentation such as your DD-Form 214 or other military discharge paperwork, service records that indicate you were a POW or received a Purple Heart, or records that show you received hostile fire or imminent danger pay or a combat medal. This article covers how to enroll in the VA health care system. Applying with for 10-10EZ and providing all relevant information will generally enroll you into the VA medical care system. Most veterans will automatically remain enrolled in the system from year to year. However, some veterans will need to establish eligibility each year to maintain their enrollment priority. This is generally the case for veterans who qualify for VA medical care based on their income or other information that can change from year to year. Other veterans may be eligible based on returning from a combat zone within the last five years. Enrollment Priority may change based on the date they returned from the combat zone. The VA will contact you when they need additional information to maintain your enrollment priority. Veterans who are eligible for VA health care are also eligible to receive a Veterans Health Care Identification Card which is used to access VA medical care. These cards have a designation on them indicating a service-connected disability, Purple Heart, or former POW status if applicable. The only official use of the card is to receive medical care at VA Medical Facilities, but many veterans also like to show this card as proof of military service if they no longer have a Military ID Card or do not have a state-issued ID card with a veterans designation. This card is only available to veterans who are eligible for VA medical care. Eligible veterans can apply for a VA ID Card at any VA medical facility. They must fill out the 10-10EZ and have their picture taken. The VA then verifies eligibility and sends out the card within 7-10 business days. There is a different VA ID Card which is available to all veterans. This card is free from the VA, but is not intended to be used for any specific veterans benefits. Previous Article: ←Can I Get Out of the Military Early? From my understanding, medical benefits are for the veteran only. My friend served in WWII from 1944-1946 when he was discharged. Is he eligible for a VA ID card? The VA handles each case individually. Your friend will need to contact the VA and apply for benefits. Depending on your friend’s income, he may also be eligible for the Veterans Pension, or Aid and Attendance Benefit, which provides care for low income, elderly veterans. The application and approval process for the Aid and Attendance Benefit is more complicated and it is recommended to have an expert help with the application. I served in the peace era so I am not a veteran, from 1978 to 1981, so I can’t get benefits. BigGuy, you are still a veteran if you served in peace time. Whether or not you are eligible for benefits depends on many factors – the only way to know for sure is to contact the VA. They will be able to give you more information and process your application if you decide to apply. I served from July 1959- July 1963. I’m an Atomic Veteran. Can I get VA medical care? My household income in $24,000. annually. James, each case is handled on an individual basis. You will need to contact the VA for specific information for you. I was discharged from the Army to take care of a family hardship. I will be contacting VA to see if I am eligible for benefits. Thank you for this website, it is a great source of information for veterans. I was Honorably Discharged 8 months before my contract expired due to being overweight. Am I still eligible for VA benefits? Here’s a question for you….I went to the VA Hospital today and they said had I signed up when I got out of the Air Force I would have been grandfathered in. It doesn’t seem fair that I can’t sign up now for a program I had been eligible for at one time. If you are grandfathered in, it should be by the date those specifications were in place. Have you heard of this before? Just doesn’t seem fair! Monica, This is one I haven’t heard of before. I would ask them to explain this in more detail since it seems like they only gave you part of the story. This may have to do with the dates you separated from the service or something else. unfortunately, the only people who can give you a definitive answer are the VA personnel. Just wanted to touch base and let you know what happened. President Bush at one time said all Veterans are eligible to receive a Veteran’s ID Card that gives them the hospital benefits. Well, it was only a 5 year period and expired years ago. Unfortunately, many Veteran’s did not know about the program (including me) and lost out. Now there is a salary limit and other ways you have to qualify. I’m a 31 year old Iraq/Afghanistan veteran who is 140% (100%) paid service connected veteran. My fiancé filed for the VA’s family caregiver support program because of my many TBI’s and PTSD and got approved at tier 1 level. She left her job and lost her health insurance and now needing to see a doctor. I worked as a case analyst for the VA regional office and know the system well, but she qualifies for CHAMPVA, is she auto-enrolled or does she need to apply for coverage? I served for 26 years active and reserves and when I applied for medical benefits, I was denied at Roanoke, VA. Older Vets just don’t count as much as newer ones, I guess. I am a Vietnam Era 1968-1972 . When I received my Navy discharge physical exam, it was noted that I had a heart murmur. Could or would this be significant in applying for medical care. I am now 63 years old and receive Social Security. When requesting service records are medical records included ? I do not know for certain if medical records are included. You will need to contact the National Archives for more information. Here are instructions for obtaining your military records. Regarding the significance of the heart murmur: right now it’s impossible to say, but it’s always better to have it documented and in the system, just in case. You may find that it gives you access to health care. I wish you the best with your health. Is it true that if I haven’t used my VA medical benefits in over 24 months that I lose my benefit eligibility? No, you shouldn’t lose your eligibility, but you may be inactive in the system. My recommendation is to call the VA and set up an appointment with them to make sure you remain in their system. The VA likes to keep everything up to date. You can expect to visit with a doctor for a few minutes and have all your vitals taken by a nurse (blood pressure, height, weight, etc.). The doctor will inquire as to any changes to your medical conditions since your last visit. If everything is fine, you can request another general exam in a year or so, just so you remain in the system. If there are any problems, then you should try to schedule an exam at that time (if the conditions are covered by the VA for your situation). I hope this helps! I applied for medical and even though I worked a part time job, they said that I made too much and I was denied. Clayton, the rules depend on how much money you make. If you only recently started working a part time job after earning more money last year, then you may qualify now (the form usually requests the previous year’s income). If you are over the threshold, then you may not be eligible for VA health care benefits unless you qualify for another reason, such as a medical condition that stems from your time in the service, or if you recently separated after serving in a contingency location. Your best bet is to meet with a VA benefits counselor to determine your benefits eligibility, including health care, education, training, VA Loans, and other benefits. Best of luck, and thanks for your service! New Vets should know that like me and 10’s of thousands who served honorably (6yrs) with no such limits on medical support when I vol. later limits were put on to lock many of us out. Changed the rules, dishonest, FACT!! I own my house, being punished for my hard work of 40yrs. Served 1970- 1976. I own my house, I have been receiving VA medical benefits since 1997. I never had a problem signing up with the VA. Many vets are too lazy to jump through the VA hoops to get treatment. VA denied my claim, can I request a second opinion. Hello Wil, Yes, you can. But it’s helpful if you submit a fully formed claim. Try contacting a veterans service organization such as the DAV, AMVETS, American Legion, etc. They have trained counselors and offer free benefits claims assistance. Best wishes, and thank you for your service! And there are certainly a lot of hoops to jump through. You send them documents they are requesting and they answer back they are not sufficient evidence. Such as exact dates and times of distress in combat 50 years ago. I don’t remember any of my squad members names. Or my officers. I don’t remember what I had for breakfast this morning. All I know was that it was 2 years of hell. my buddy just received a 10% rating from the va we are going to appeal the other denial but what medical benefits can he receive at this rating. Lloyd, Thank you for contacting me. It’s difficult to answer that question without having more information. Typically at 10%, a veteran is eligible to have health care related to the medical condition for which he/she has a disability rating, and possibly additional health care coverage, depending on when and where they served, when they got of the military, income level, and several other factors. In short, there is no one-size-fits-all answer. The best way to understand one’s benefits is to go to the VA for a benefits overview meeting. A VA representative will sit down with the veteran and explain all the benefits the veteran is eligible to receive. They usually offer some forms of pamphlets and other information. The veteran should also receive an explanation of benefits letter in the mail, but these aren’t always the easiest to understand. Another option is to visit a Veterans Service Organization for a benefits overview. Many service organizations have trained benefits counselors who offer free benefits claims assistance and who are also able to help the veteran understand the available benefits and how to apply for and use them. I hope this points you in the right direction. Best of luck, and thanks for your service! Mike, The best way to know is to use this online tool from the VA. You can also contact the VA or a veterans benefits counselor. There are many organizations that offer free benefits claims assistance, including the DAV, VFW, American Legion, and more. Ken, Thank you for contacting me. You may wish to try for benefits again. The VA recently dropped the net worth test from their eligibility requirements. The VA will now only consider a Veteran’s gross household income and deductible expenses from the previous year. Source. I hope this helps. Best of luck, and thanks for your service! Senator John Boozman, R-Ark introduced Act S.743 (Honor America’s Guard-Reserve Retirees Act and has 14 Cosponsors. I served 25 years in the US Army Reserve with 6 months in basic training and AIT while also working a full time job. When active duty personnel took off their uniforms, I put mine on etc. When adding up all of my Active Duty for Training time it adds up to more than 5 years of ADT. I understand that the Senate is trying to recognize the service of soldiers who served in the guard/reserve by honoring them with the status of veterans under law. This Act would recognize all of the hard work and sacrifices made seems much more fair to me and I definitely think that the Senate should pass this Act making all of us veterans for proudly serving our country. I fully support this Act S.743 and think that is long passed due. My Father was in the Army during the Korean conflict. Therefore making him eligible for 24/7 care for Alzheimer’s at the VA facilities in Mission, TX back in 2005-2006. Would this also make my Mother (his Wife) eligible for care at the same VA facilility? Ken, I recently applied to a Veterans Organization. It is not a well-known or major organization; more of a ‘club’. Sadly, they do NOT recognize the VA ID Memberhip Card ‘Service Connected’ as proof of Honorable Service. ( I know that the VA researches the Veterans records for [that] information. ; DD-214, DD-215, etc. I later discovered that the Secretary of the ‘club’ canceled his VA ID Member ship Card and wants nothing to do with the VA, I detect discrimination here based on his personal bad experiences with the VA only. He stated his reasons in a recent E-Mail to me. It’s very obvious his hatred towards the VA.
I’ve been reassured by several VA doctors, Nurses as well as Administrators in major VA facilities that the VA ID Membership Card is a valid indication that the Veteran at issue infact served his country ‘Honorably’. I did! And, I’d do it again in an instant! I really wanted to join this club, but the Secretary is standing in the way with his personal grudge(s). I am a veteran and do receive VA medical care. My query concerns my son who was discharged (Honorably, of course) from the Navy (E-6) earlier this year after eight years active duty. He made a good salary while serving and his wife worked also. Someone told him that he was not eligible due to his income. I thought that he would be eligible but would incur a co-pay for both drugs and hospitalization. He is healthy, but cardiac problems run in our family. I worry that, if he has a problem and then has to start some paperwork there will be a delay. I read of veterans having long waiting times to be enrolled. I would like him to apply as a hedge against the future. So it really boils down to what, if any, is the amount he can earn (the last year) and still be eligible for care should it be needed. There must be some cut-off amount. Charlie, Thank you for contacting me. I recommend your son go through the VA after separating from the military. They will enter his information into the system and annotate anything that may be considered a service-related medical condition. Even if they give a rating of 0%, that acknowledges the condition occurred while in the military and may make him eligible for benefits at a later date if the condition worsens. As for the income limits for medical care, I don’t have an exact answer. I recommend all veterans contact the VA and sit down for a full benefits counseling session. They will find out each program they may be eligible for, including health care. They would also get information for income limitations at that time. My stepdad served in the Vietnam War but he lost his discharge paperwork. Can you tell me how I can go about getting him signed up for possible VA benefits? Julia, He will need to do a military records request through the National Archives. He should also request a new DD 214, which is the actual discharge paperwork. I hope this helps! First of all, thank you for your service to our country. Secondly, yes you would be service connected with TMJ by the VA as long as…..
-there that there has been continuous treatment by your doctor. What you need to do is get all of your dental records from your Orthodontist and then visit your Veteran County Service Officer to submit a claim for TMJ. Once the claim is submitted, the VA will request your service treatment records from the National Personnel Records center to validate your condition and hopefully service-connect your dental condition. Please do now wait any longer. I’m a veteran of only 3 years. 8 years ago i retired from my job an went the VA office in San Diego,Ca. an there they told me I can’t get health care benefits because i was not in a zone war zone. I was in from 1972 to 1975 ? I never left California, was at Ft.Ord all 3 years! Unfortunately, the VA representative is right. Under the current VA health care rules since you are not a combat Veteran, your VA health care is based upon your financial status. You may have served during a war time period by federal standards, but you do not have VA health care available to you. My question to you would be, do you have any chronic conditions documented in your service treatment records that exists today? What was your job in the military? Question: I was medically separated after 6 years of service (AA). When I was being out-processed the out-processing DEERS gave me a Brown VA card and I was told once I separated to use the VA card for I would receive extra benefits for two years. I was given an initial rating of 80%. My wallet was lost in my ETS move, and when I went to my local DEERS office they said a mistake was made and I shouldn’t have received the card in the first place. Is this correct, or should I be eligible for the card? I am a Widow of a Deceased Retired/Disabled Veteran – and I am turning 65 in 2016. I need to speak to someone about TRI-CARE benefits. I live in Clinton Township, MI. Any ideas where I should go? Hello David, Thank you for contacting me. The best thing to do is schedule a meeting wit h a VA benefits counselor to find out if they are eligible for benefits. This can be done at the VA or with a Veterans Service Organization, such as the DAV, VFW, American Legion, etc. Be sure to have relevant information, such as dates served, and a copy of the discharge paperwork if you have it. The benefits counselor can help you understand which benefits, if any, your father may be eligible to receive. Specifically look into health care and the Veterans Aid & Attendance Benefit. what if you have a 20 year letter can i use a veterans hospital? If I am on Cobra and elect the Veteran’s Administration benefit, am I eligible to remain on Cobra? Thanks. Hello Candy, I am not 100% certain. I would look at which benefits are covered by the VA. Depending on your coverage, you may be better off keeping COBRA. Also COBRA can be used for an entire family. Generally the VA benefit is only for the service member. The best thing to do is examine your VA benefits and determine if they cover 100% of your needs. If so, you can most likely cancel your COBRA coverage and save your money. But if the VA health care benefits don’t cover everything, then you are likely better off keeping COBRA. As to whether you are required to cancel COBRA if you have other health care benefits, I don’t have an answer. You will need to research your COBRA plan to determine the rules (each plan may have different requirements, and I can’t speak on the specifics of your plan). I hope this helps. Best of luck, and thank you for your service! My wife and I file a joint tax return a. I’m retired and she is working. I’m sure our total income would be way over the limit. If we filed separate, would they only look at my income which a pension and SS. My father is an ALS pt, receives VA benefits BUT the appointmentsame are spread out to far and in between and he needs care more often that doesn’t fit in with the schedulesame available to him from the VA facilities. He also is in need of full time nursing care while I WORK. Are there other options for him as far as coverage and full time care? I am rated as 80% VA service connected disability. Where can I go get a list of services that are available to me at that rating? Hi Mark, Each case is unique. The best thing to do is contact the VA and ask them to give you a personalized benefits overview. They will review your profile and give you a list of services you are eligible to receive. I spent 6 yrs in the National Guard from 1965 to 1971 and was Honorably discharged. I am wondering if basic training activation falls under the “training” which disqualifis me from VA membership. Hello James, typically one is required to have active duty service, for other than training purposes. In most cases, the two week annual training does not count as active duty service, unless the orders state it is for active duty. You would need to review your records to verify your service. If a Service member was discharged after just over a year of Service because of medical reasons, would they potentially eligible for disability? Hello Zach, Thank you for contacting me. Yes, it’s possible, but not a guarantee. One would need to file a claim. I recommend contacting a Veterans Service Organization such as the DAV, AMVETS, VFW, American Legion, etc. Most of them offer free veterans benefits claims assistance and they should be able to help you get a copy of your records and file a disability claim. I wish you the best, and thank you for your service! Hello Joanna, Thank you for contacting me. That depends on whether or not you received a VA disability rating of 10% or greater. There are many ways to qualify for VA medical care that do not automatically entitle one to disability compensation. You can verify whether or not you received a VA disability rating by contacting the VA hotline, or by reviewing the Award Letter the VA sends out to all recipients of VA disability compensation. The award letter will state your rating and the monthly compensation payment, along with any back pay, if any was awarded. Why are Merchant marine’s not eligible for va care? According to the VA, American Merchant Marine in Oceangoing Service during the period December 7, 1941, to August 15, 1945, is considered “active duty” for the purposes of all laws administered by the VA if the merchant seamen met certain criteria. This so far was the only time that Marchant Mariners were provided VA benefits. I have a question for you: I was a USMC reservist and have an Honorable Discharge Form DD-256. I know that as such I am not, generally speaking, eligible for health benefits under the VA. However, I also lived in Camp Lejeune for 6 years as a child dependent while my father was stationed there, 1964-1966 then again 1968-1972. This falls within the time period of the water contamination problem there. Would the VA take that into consideration for possibly allowing me health benefits? Hello John, Thank you for contacting me. I don’t have an answer for you. You would need to contact the VA. That said, if you have health conditions that may be linked to water contamination at Camp Lejeune, then it would be in your interest to be examined by a civilian doctor. Be sure to get a statement that links any health conditions you have to that exposure if the doctor believes your medical conditions were caused by that exposure. I don’t have advice for receiving compensation as a civilian. My guess is that you would need to hire a lawyer and file a civil lawsuit. I am not trained in law or medicine, so unfortunately, I can only answer based on what I would do if I were in that situation. I hope this points you in the right direction. I wish you the best of health, and thank you for your service! Can and are some new immigrants to the country use the V.A.? Hi Ray, No – the VA is for military veterans only. Any reports of immigrants using the VA medical system are most likely rumors, or an edge case taken out of context. For example, I don’t believe the VA hospitals, or any hospital for that matter, would turn someone away during a true emergency. I’m 21 years of age am i able to benefit from my father’s insurance? Hello Ken, Thank you for contacting me. That depends on which type of insurance he has. You will need to ask him to review his policy to see if you are eligible. For example, VA Health Care is generally limited to the member only. However, some other forms of insurance may allow you to have coverage, provided the premiums are paid. You would need to check with the insurance company for more specific information. I recently separated from the Corps. I am currently rated with the VA at 80 percent. My new jobs health plan is garbage. I know I’ll be taken care of through the VA, but is my wife and daughter eligible for health insurance through the VA? Hello Rodney, Thank you for contacting me. Unfortunately, the VA typically does not cover dependents. This article has more information about health care options after leaving the military (there is also a podcast, if you prefer to listen). I hope this points you in the right direction. Best of luck, and thank you for your service! I was medically discharged with 20 months in. I was released after being sent to a variety for mental evaluation. I certainly home and registered and used the VA hospital. I have been away from it for a few years and when I went back, they said I was not eligible and I would have to pay back what I had used if I try to proceed with getting back in the system. I do not understand how I was eligible and now I am not. Is this just to prevent me from trying or is this a real thing. I need help with a major issue simular to when I was discharged but now they just ran me off. I serve in kuwait in 2002 (8 months)Persian war.I was discharged with under honorable conditions (general) I only serve for 22 months in total. I am almost sure I have the persian gulf syndrome but I haven’t applied for anything because they told me I had to serve minimum 24 months. A friend of mine spent approx 30-45 days in active duty in the US Navy. While in training he was told he was not eligible for the career field he was gauranteed. He was offered the oppurtuiny to choose another field or separate with an honorable discharge. He chose to separate, does that make him ineligible for VA medical Care ? My father in-law was drafted in 1958 and served for 2 years in Germany. Was honorably discharged in 1960. He is eligible to use the VA for outpatient services but has been told that he will not qualify for Aid and Attendance for entrance to the VA nursing home Alzheimer’s unit due to the fact that he did not serve during wartime. This just doesn’t seem fair. His military records were lost in the Big St Louis fire so we don’t have much information to go on. My father also served from 1958 to around 1960 or 1961 – he was drafted and sent to Austria and was honorably discharged- at 86 we need to hire an in-home part time aid to help him stay in his home – since he did not serve during a time of war, is it possible that he could get any help paying for an in-home aid? I do not understand all of these people saying they were denied VA treatment. I have no problem getting treatment at the VA. At the present time, I am getting radiation treatment at a Scott & White cancer center on the VA’s dime. I have a buddy who served for 3 years, he gets VA treatment too. I was in for 20 years. If you are a vet, you are eligible. Period. Joe, there are certain eligibility requirements that many veterans do not meet. Not every veteran is eligible for VA health care. I encourage every veteran to visit the VA to determine their eligibility status. Philip, Thank you for contacting me. There is a good chance he is eligible for some veterans benefits. However, I won’t be able to tell you which specific benefits he may be eligible to receive, because each situation is unique. I recommend he visit the nearest VA clinic or a Veterans Service Organization such as the DAV, VFW, American Legion, etc. Each of these organizations have trained individuals who can offer free benefits claims assistance. They will review his service and help him understand the benefits he may be eligible to receive. I hope this points you in the right direction! If someone was an infantry “combat” veteran from the Gulf War who entered into Kuwait and inhaled oil fire fumes for more than a few days and has noticed odd breathing symptoms over the years but never did anything about it, could this possibly be considered a service time related injury- even this late in this person’s life? 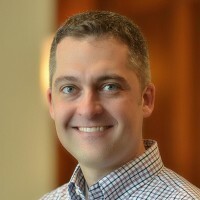 If this person ever does not have health insurance at some point in their life , as a “combat” veteran this person should be entitled to VA Healthcare benefits – )regardless of the possible service related injury)- correct? Hello Jim, Thank you for contacting me. Yes, it may be possible, but it’s not certain. I recommend contacting a Veterans Service Organization such as the DAV, AMVETS, American Legion, etc. They have trained counselors who can help you with a benefits claim. They will let you know what information and paperwork is needed, how to fill out the forms, and more info. My father is 95 yrs old and a World War ll vet. He has a medical card and someone in the Menifee, CA office told him he needs to have a physical/check up every year to maintain coverage. Is this true? Thank you for contacting me. The VA likes veterans to receive a check up each year so they are current in the system. The VA also receives funding for the veteran care they provide. So it helps keep things running, so to speak. I’m not sure if your father would lose his coverage, but waiting a long time between appointments may cause delays for scheduling, or may require additional checkups. In short, it’s not a bad idea to be seen every so often. It’s also good for health care screening. I wish you, and your father, the best. I was in the National Guard from 1980 to 1986. I joined when I was 17 and turned 18 in basic training. I did my 6 years and got out with an honorable discharge. I don’t receive any kind of benefits or health care because there was no war at the time. I have a niece that went in a few years ago and barely finished basic training. She never even went to AIT. She now receives all VA benefits including medical. She even has a service dog and a VA therapist. If serving on active duty consist of basic training I did that myself. I believe that I wasted 6 years of my life. It’s just not fair. I served in the 82nd airborne 1963 through 1966. I spent 6 months in the Dominican Republic. I received the combat infantry men badge. Why is that tour not the same as combat in other wars? We came under fire and returned fire. There were Purple Hearts awarded. I did get hearing aids from the VA but no disability. I tried but could not be connected to my tour. I have ringing in my ears which I thought might be from the noise from my jumps who knows anyways been denied twice and was sent off to the board of Veterans Appeals in Washington D.C. In January 20 2016. They said they would notify me when they received them. Still waiting to see if they got them. Thank you.